Towards 50 billion connected mobile devices? Some time around December 2008, the number of mobile phone connections worldwide reached – according to an estimate by Informa Telecoms & Media – the staggering total of 4 billion. The 4 billion mobile phone connections milestone was reached in February 2009. How much further can this trend continue? One line of reasoning says that this growth spurt is bound to slow down, since there are only 6.8 billion people alive on the planet. Mobile phone connections can be assigned to items of equipment (to “machines”) rather than directly to humans. This vision is spelt out in more detail in an Ericsson presentation from December 2009 available on Slideshare, which states that “everything that benefits from a network connection will have one”. M2M devices will account for a significant share of new mobile network connections on developed markets in the coming years. The main reason is the high penetration of mobile subscriptions and the proliferation of devices. Today, Europeans have more than 14 devices at home waiting to be connected according to Ericsson consumer research. If by 2020 there are some 3.5 billion people worldwide with as many devices waiting to be connected as today’s average European, we quickly reach a figure of 50 billion devices with embedded connectivity. Speaking on the Day Two panel “The Future of Connectivity”. 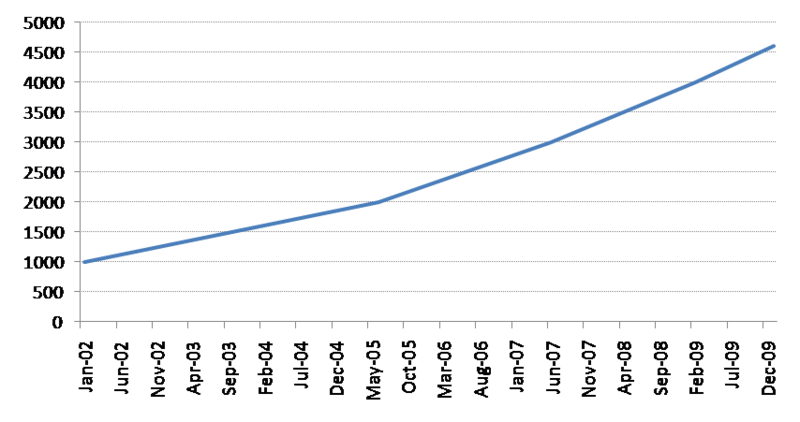 By 2011, IDC estimates, there will be one trillion Internet-connected devices, up from 500 million in 2006. Soon there will be 1 trillion connected devices in the world. A smarter planet will require a smarter communications infrastructure. When things communicate, systems connect. And when systems connect, the world gets smarter. Together let’s build smarter communications. How do we make sense of these radically different predictions (1 trillion vs. 50 billion)? More likely, it’s a matter of different kinds of connectivity. In all, there are probably at least five levels of connectivity. Level 1 is the rich and varied connectivity of a regular mobile phone, driven by a human user. This can have attractive levels of ARPU (average revenue charges per user) for network operators. Level 2 involves many of the devices that I mentioned earlier. These devices will contain a cellular modem, over which data transfer takes place. This connectivity falls under the label “machine to machine” rather than directly involving a human. It’s generally thought that the ARPU for M2M will be less than the ARPU for smartphones. For example, there might only be a data transfer of several kilobytes, every week or so. Network operators will be interested in these devices because of their numbers, rather than their high ARPUs. I’ll skip Level 3 for now, and come back to it afterwards. Level 4 is where we reach the figure of one trillion connected devices. However, these devices do not contain a cellular modem. Nor, in most cases, do they initiate complex data transfers. Instead, they contain an RFID (Radio Frequency IDentification) tag. These tags are significantly cheaper than cellular modems. They can be used to identify animals, items of luggage, retail goods, and so on. Other sensors keep track of whether items with particular RFID tags are passing nearby. The local data flow between sensor and RFID tag will not involve any cellular network. Level 5 takes the idea of “everything connected” one stage further, to the so-called semantic internet, in which clumps of data carry (either explicitly or implicitly) accompanying metadata that identifies and describes the content of that data. This is an important idea, but there’s no implication here of wireless connectivity. I include this level in the discussion because the oft-used phrase “The Internet of Things” sometimes applies to Level 4 connectivity, and sometimes to Level 5 connectivity. So where does the idea of 50 billion connected devices fit in? The cost of cellular M2M solutions can be an inhibitor for some applications. Mainstream wireless modules range from approximately $25 to $90. These cost points make them difficult to integrate into some end devices, such as utility meters. A key reason for integration of ZigBee and other SRW (Short-Range Wireless) and PLC (Powerline Carrier) technologies into utility meters for AMI (Advanced Metering Infrastructure) applications is that many utilities do not feel a financially sound business case can be made for the integration of a cellular connection into every meter. Rather, a single meter, or concentrator, receives a cellular connection and is, in turn, connected to a group of local meters through less-expensive SRW or PLC connections. Is simpler (and less expensive) than cellular modems (Level 2). As time passes, the reducing cost of wireless modules will increase the likelihood that solutions will consider deploying them more widely. However, at the same time, the simpler hardware options mentioned will also decrease in cost. It’s for these reasons that I’m inclined to think that the number of cellular modems in 2020 will be less than the above ballpark figure of 50 billion. But I’m ready to change my mind! The number of Mobile Connected M2M and Embedded Devices will rise to almost 412 million globally by 2014 with several distinct markets accounting for the increase in their number. The markets include: Utility metering, Mobile Connected Buildings, Consumer & Commercial Telematics and Retail & Banking Connections. These areas will all show substantial growth in both device numbers and in the service revenues they represent, while Healthcare monitoring applications will begin to reach the commercial rollout stage from 2012. “The most widespread category will be connections related to smart metering, driven partly by government initiatives to reduce carbon emissions,” says Anthony Cox, Senior Analyst at Juniper Research. Other areas, such as the healthcare sector, will ultimately see more potential in achieving service revenues, he says. – if you are going to call passive RFID part of the “trillion” connected devices, then might as well include barcode as well. Ten trillion barcodes are created annually and there are, last I looked, around 200 trillion in the world now. The difference between barcode and passive RFID is small relative to the difference between passive RFID and cellular. – MEMS sensor forecasts would a useful dimension to this. – i would look at this beginning with passive/barcode at level one, then moving up the “pyramid” to cellular/satcom. Why? There is a fundamental “last mile” problem with this vision that is solved with increasing levels of performance (and cost) as you move up the pyramid. – In terms of a long-range wireless “last mile” story, I would like to suggest DASH7 (http://www.dash7.org) which has 10 year battery life, operates in unlicensed spectrum (433 MHz), supports sensors, multi-hopping, and PKI. Heavily used by the military, it has 10x the range and battery life of ZigBee at 10% of the cost. Great point about barcodes. You’re right, barcodes have a lot in common with passive RFID. I guess the main difference is that barcodes require some “line of sight” access before they can be read. Thanks also for the pointer to the DASH7 website. There’s some interesting material there! I’ll look out for anyone from the DASH7 members list at the Embedded Connectivity conference tomorrow and the day after.